The land of the mythical creatures and tranquil gardens beckons the most adventurous souls to explore one of the largest and the most culturally enriched countries of the world. With historical monuments dating back to several millennia and captivating natural landscapes, China is definitely one of the most attractive countries for the tourists to explore. 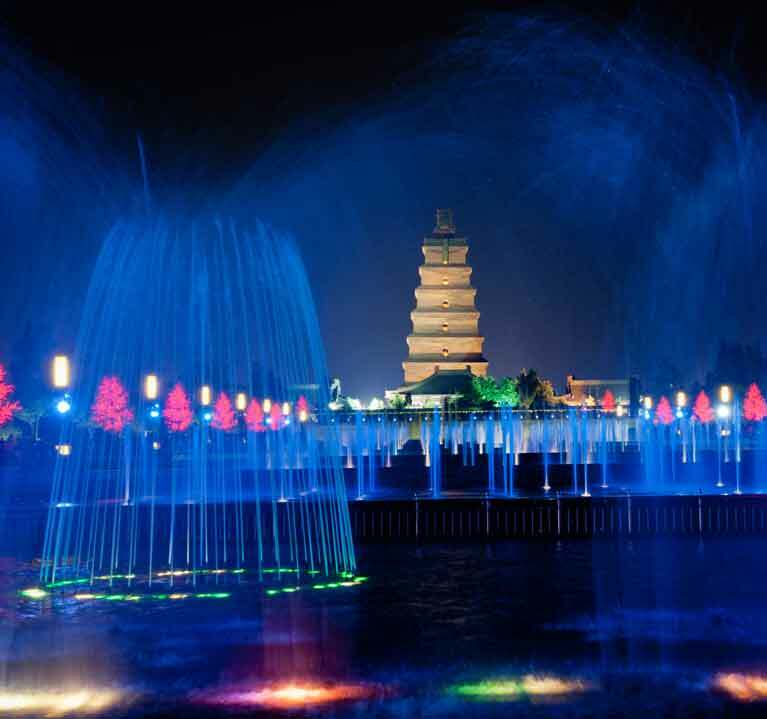 At one side there is the historic cities like Beijing and Xian with its enchanting destinations and charming lifestyles on the other side you can witness the glamour and glitters of cities like Shanghai and Shenzhen. 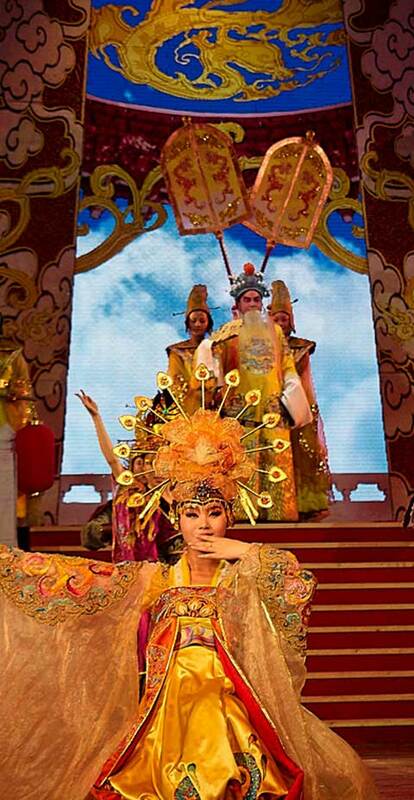 China weaves a mystical web with the threads of tranquility and magic. To get inside that web is every traveler's dream as it will allow him/her to explore the history and the natural beauty of this large country. Since its discovery back in the 1970's the Terracotta Army has been the center of discussions of every historian. Now open for public viewing this site in the ancient city of Xian is definitely a major tourist attraction. Spread across a large underground pit this site will definitely give you the chills because of the life-like features of each and every statue in this place. Such is the minute detailing of the architecture that a thought will definitely pass your mind that some Chinese wizard has converted an entire Shi Huang army into stone. This part of the Emperor Qin Shi Huang's Mausoleum Site Park is certainly a must-visit place for the tourists. Easily the world's largest inner-city square this place is considered to be the birthplace of Communist China. Known for its famous student revolution back in the year 1919 this place is now a site which tourists come to witness the fascinating monuments and museums representing the modern day communist era of China. There is of course the Monument to the People's Heroes highlighting the sucess of the students' movement along with a massive Museum of the Chinese Revolution which showcases the various stages of this great revolution. 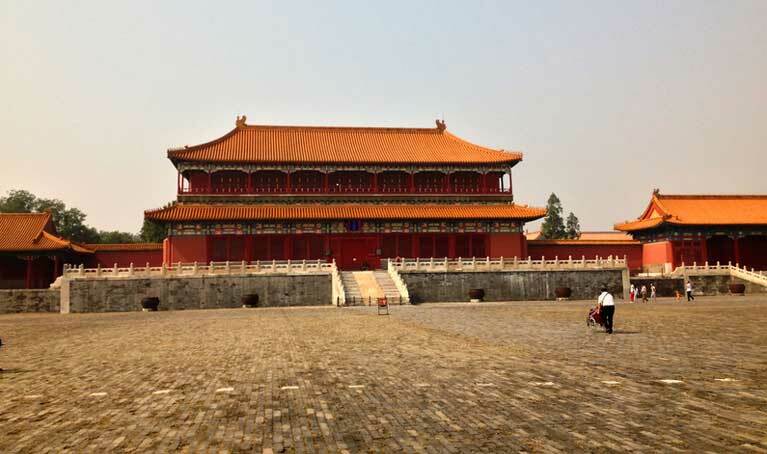 The most iconic architecture of the Chinese history is certainly the most popular tourist attraction of the country. However, due to its sheer size and overall age, it is merely impossible for a tourist to see the wall entirely. That is why some of the renovated and restored portions of the wall is only open for tourist attraction. One such spot is the Badaling Pass, which is found at the northwest corner of the city of Beijing. Regular tours are being arranged in this place thereby allowing the tourists to relish the magnificence of this great wall. Located in the northeastern borders of the old town of Shanghai this 16th century garden pulls a lot of tourists, throughout the year. The oldest section of this enchanting garden is known as the Outer Garden which is known for its ornamental roof designs. Then there is of course the Hall of Spring with its exotic appeal and enchanting decor. This hall was the headquarters of the Company of Little Swords and till date holds many scenic appeal. Then there is of course the marvelous Inner Gardens , which was built around the early 1700's and it a classic Chinese winter garden with its decorative pebbles and miniatures mountain ranges. 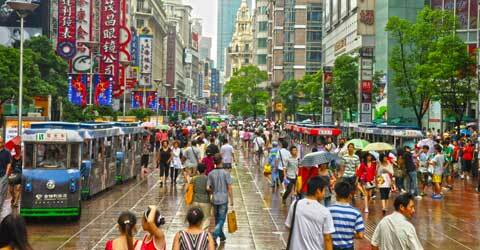 The Bund, also known as the Zhongshan Lu, is a very popular river-side promenade in Shanghai. The pedestrian zone stretched along the banks of Huangpu Jiang River is popular for its European appeal. The mesmerizing promenade will make you forget that you are actually in the middle of one of the busiest cities of entire Asia. The peace and tranquility the place offers is unmatched as you can enjoy the sights of the pretty gardens and the Art-Deco style buildings. The Bund is also popular for its 52 selected buildings which are preserved for the tourists. The buildings echo a distinct Victorian and French architectural styles. 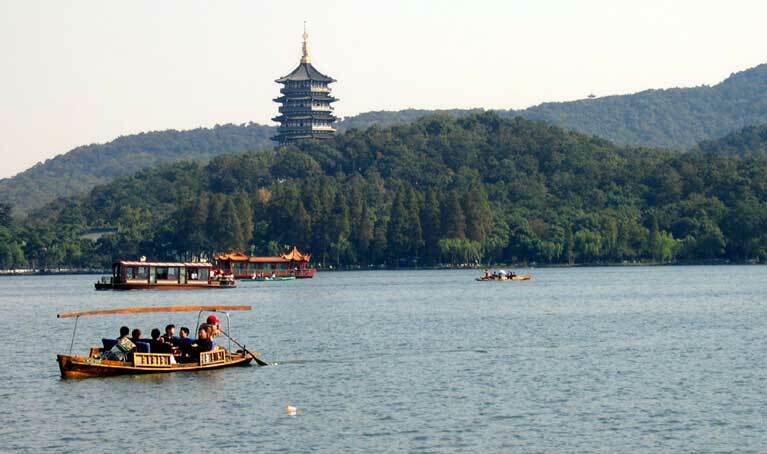 Popularly known as China's Grand Canal this site is a major tourist attraction in the city of Hangzhou. 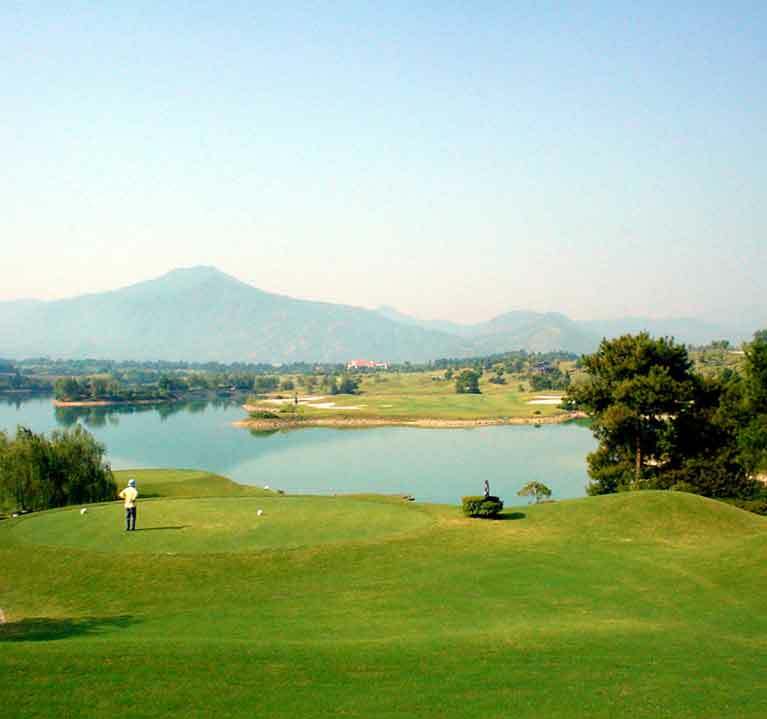 The large concentration of water at the middle of the city offers a spectacular sight for the tourists as they can witness the various hills, temples, and pagodas surrounding the lake. The entire stretch of water is divided into 5 sections, which were built during the 11th century and the pedestrian area is actually pretty charming to be explored on foot. There are clusters of quaint buildings surrounded by gardens of peach trees. You can also hop into the Little Paradise Island by crossing the marvelous Bridge of Nine Arches. 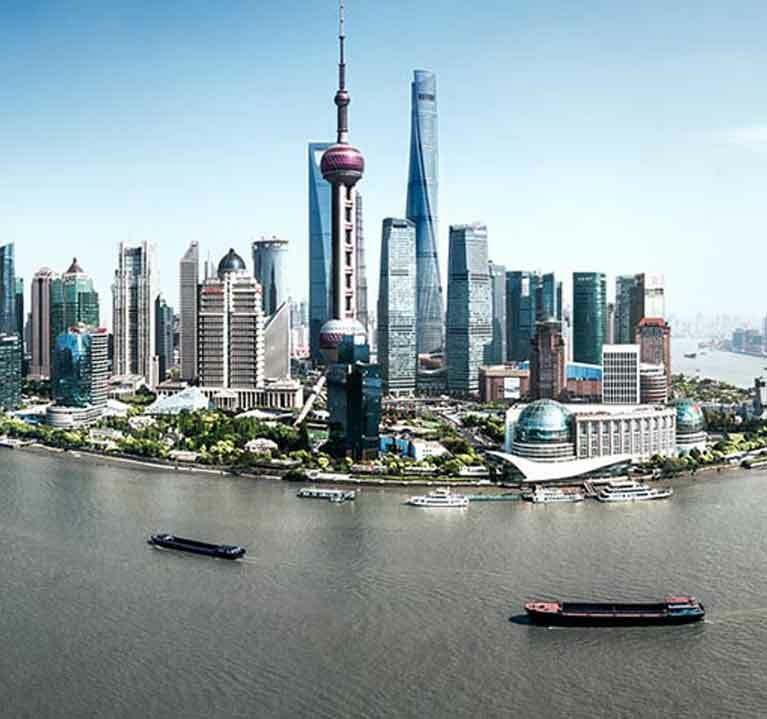 Glorifying the Shanghai skyline is the 468 meter long Oriental Pearl Radio and TV tower. This iconic landmark of Shanghai was built back in the year 1991 and ever since its establishment it has marked the importance of Shanghai in the global map, as a major financial hub. Tourists can go take a view of the magnificent cosmopolitan city from the observational deck kept on the 350 meters mark, and the glass windows of the deck helps the tourists to enjoy the sight. There are as many as 15 viewing centers and the tower also have a nice shopping mall on the ground floor. A few minute walk from the Imperial Palace of Beijing will let you reach this oldest and one of the biggest Imperial Gardens of the country. The ancient city of Beijing has a different kind of a charm and this park is the perfect place to relish it. The North Lake of Behai adds to the beauty of the place as you can witness some of the important Chinese architecture like the Round Fort which dates back to the Yuan period of the 13th century. Then there is of course the Hall of Enlightenment which was built in the year 1690 housing a sculpture of Lord Buddha, marking the strong Buddhist influence on the nation. Shanghai's shopping lane will not only spoil you with options but at the same time will give you a pupil dilating experience. The pedestrian friendly streets of this area was built back in the early stages of the 19th century and it essentially offers the tourists with a great shopping experience. From art and craft to fashion wear, from food vendors to the antique sellers, there are plenty of Chinese merchants you will meet on the street of Najing. 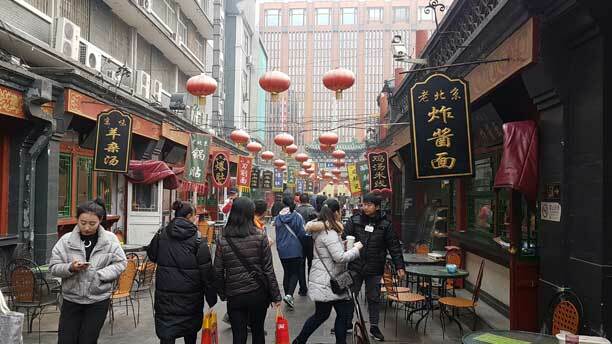 There are plenty of food stalls from where you can try authentic Chinese street food and you can also venture to the affluent shopping zone of Xintiandi. The Nanshan mountain of the Shenzhen province proves that China's attractions are not just limited to historical sights and architectures. The natural beauty and landscape of the Chinese borders is also there to mesmerize you and give you feel of tranquility up there in the majestic heights. As a traveler you often have to decide between a mountain or a sea-side destination, but in case of the Nanshan Mountains you do not need to choose. Lying around the coastal borders of Hong Kong this beautiful mountain range is a moderate climb and it also allows you to enjoy the view of the ocean. The coastlines of the Shenzhen province stretches into some fascinating beaches with lots of amenities and excitements in offer, for the tourists. Starting from the reefs to the caves, the scattered islands to the cliffs, there are plenty of natural beauty for a tourist to savor. Then there is of course the delightful seafood restaurants serving you the freshest of the catches. There are lobster aquariums which will allow you to choose your lunch and then relax under the warm Chinese sun for the rest of the day. 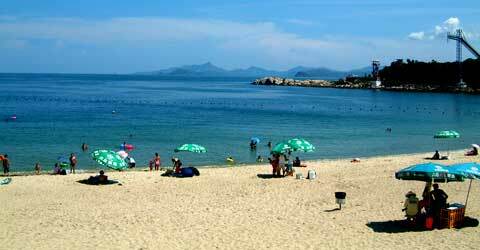 This beach attracts a lot of foreigners and it is well maintained compared to the other parts of the province. The Chinese summers are pretty hot whilst the winters are chilling cold. In some areas it even snows massively in China. So, for an Indian traveler choosing to go in the winter might not be a good decision because many of the destinations will remain closed. On the other hand the Chinese summers are mostly associated with hot and humid weather, similar to that of India, and hence traveling during that time would not guarantee any enjoyment. Only the Chinese highlands will offer you a nice weather during summer. That is why spring, covering the months of April to May and the autumn, covering the months of September to October, are the ideal time to visit China. During this times of the year the temperature remains pleasant, throughout the country and you will not break a sweat whilst hiking or traveling. High Season: Spring and Autumn are considered to be the high seasons as far as China is concerned. The weather remains pleasant all throughout the country and tourists from all over the world gather here to enjoy the sites. Shoulder Season: For people who can withstand the cold winter in China can be a good season to travel. The city of Beijing and Shenzhen all remain covered in snow and it evokes a different kind of scenic appeal. Low Season: Summer is most definitely the low season for traveling to China. Barring few of the highlands the temperature remains hot and humid making it uncomfortable for traveling. Reaching China from India is only a matter of time. Plenty of direct flights are available on a daily basis. 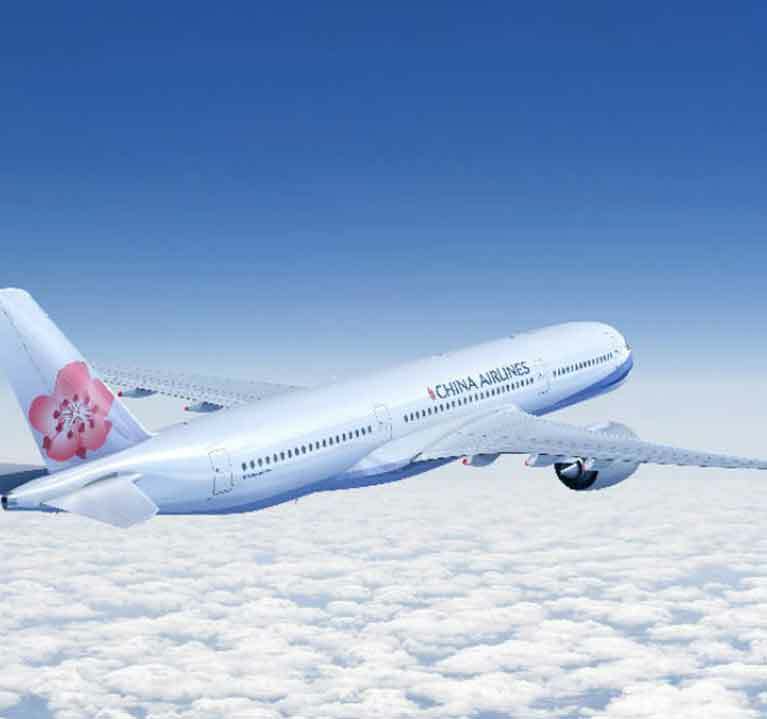 Starting from China Eastern, China Airlines, Shandong Airlines, Air China to other carrier airlines like Air India, Air Asia, Singapore Airlines, Tigerair, Mihin Lanka, Dragonair, Hong Kong Airlines, Thai Smile, and Thai Airways have regular flights connecting all major Indian cities with Beijing and Shanghai. Apart from these the western airlines like KLM, Swiss, Air France, British Airways, Turkish Airlines, and Austrian Airlines can be a good alternative. Other Asian airlines like Qatar Airways, Mega Maldives, Ethiad Airways, Air Mauritius, Malaysia Airlines, and Korean Air will also take you to China. So, basically you will be spoiled with choices. China is a land of many hidden treasures and myths. As one of the largest countries of the world China offer a wide variety of landscapes to its tourists. 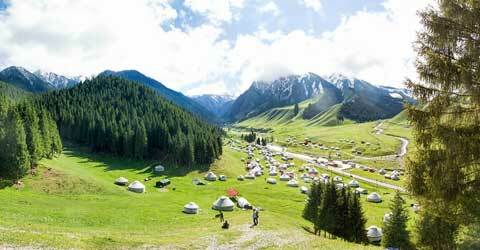 There are the high mountain ranges and the serene rivers, the ancient monuments and the dazzling nightlife. From the old to the new, from the high to the low, China will never fail to entertain you. The fascinating beauty of the new cities and the quaint charm of the old ones will create a magical effect from which you will never recover. Stretching across a wide landscape, China offers its tourists a plenty of natural beauty to savor. From the high mountains to the coastal beaches, from deserts to bamboo forests, China is pretty rich in its natural diversity. The ancient cities of China are one of the few well-preserved sites in the world. Their history dates back to few millennia. 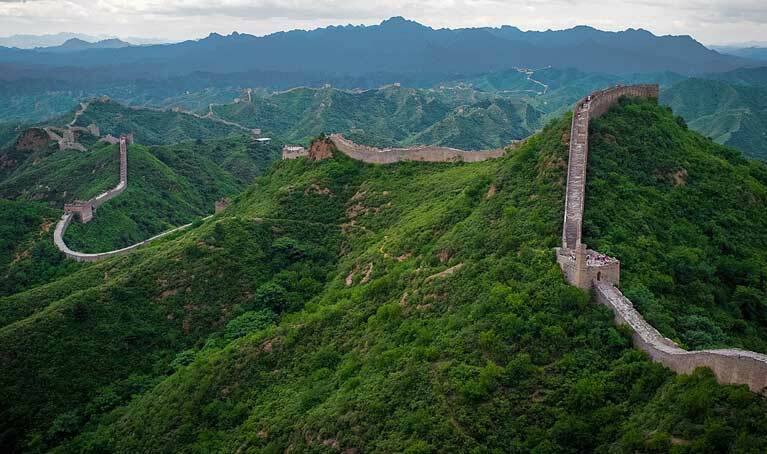 China is the home to the Great Wall of China, one of the greatest wonders of the world and the only human-made architecture which is visible from the space. Chinese foods are popular all over the world and a trip to China will ensure that you savor the authentic Chinese food. China is the home to Giant Pandas, and a trip to China will allow you to come up-close these lovely cuddly furry beasts. 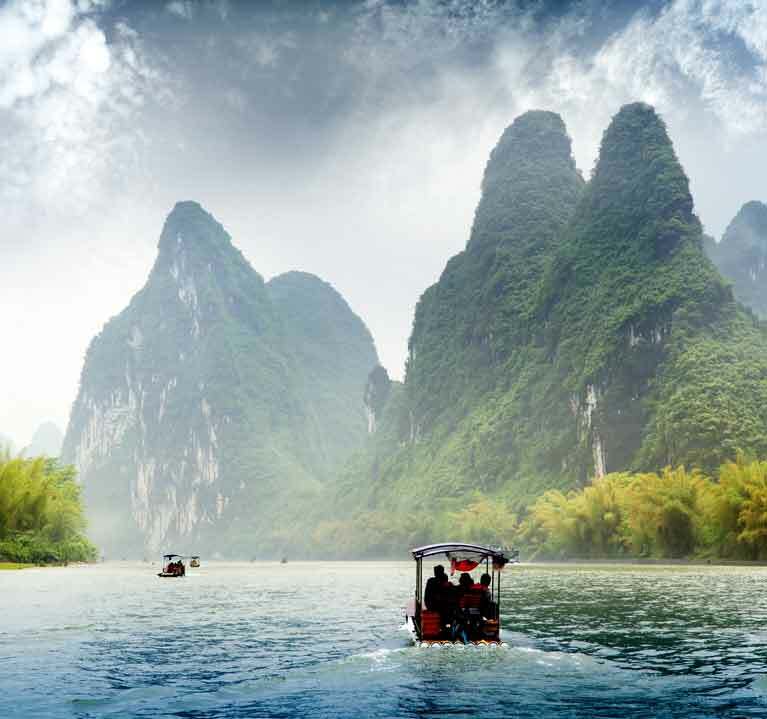 A cruise down the River Li will allow you to enjoy the most enchanting scenery of the world. 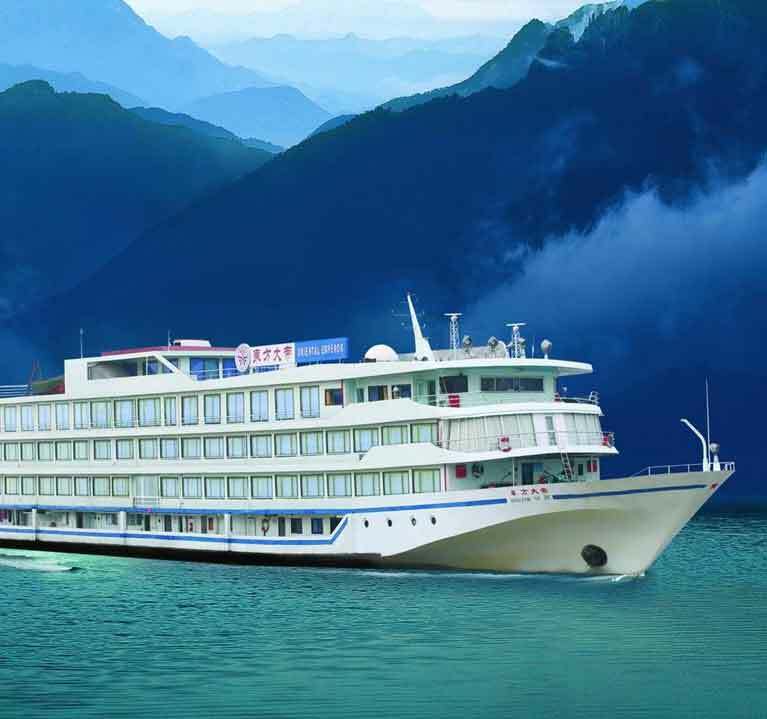 From mountains and caves to dense bamboo forests, you will never have a such a heavenly cruise ride ever in the world. 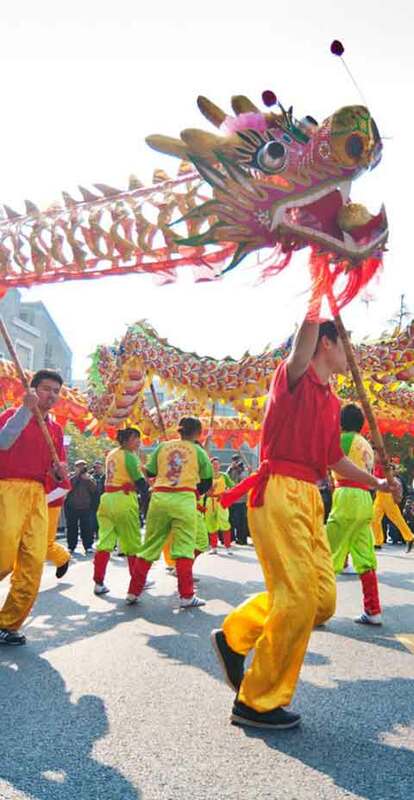 China as a country is still connected to its ethnic roots and there are many traditional customs which are still in practice. As a tourist these ancient customs and traditions will certainly mesmerize you. 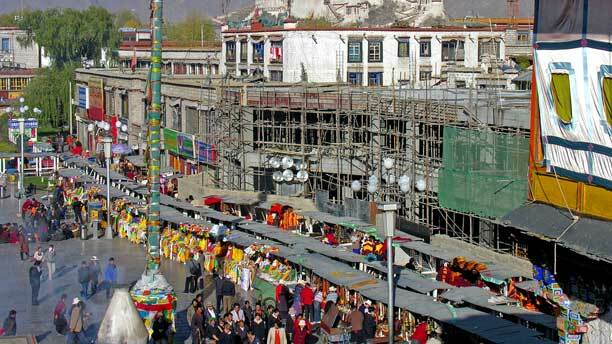 For Indians, China is one of the nearest and most affordable foreign holiday destinations in the world. 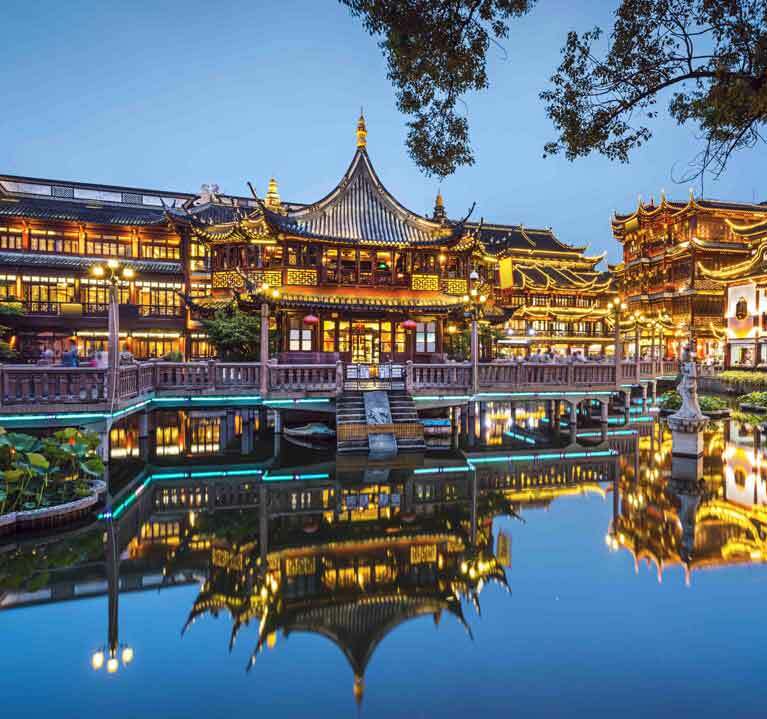 A trip to Shanghai will allow you to immerse in the lights and glitters of one of the largest port cities of Asia and it is a fabulous shopping destination. China is the home to many beautiful gardens like the Yu Garden of Shanghai and it is one of the most tranquil places of the world. Domestic travel around China is mostly dependent on airlines, mostly due to the large area cover of the country. Getting from one city to another normally takes days via road. That is why the Chinese prefer the airlines to take them from one destination to another. Apart from the airlines there are buses and options for renting cars. Cruising through the rivers is also another option but it is mostly for leisure and not for regular transportation. There are many domestic airlines in China which operate on a regular basis. They are not as expensive as the international flights and they are frequent and affordable for the tourists. These flights are the main way of commuting from Beijing to Shanghai, from Shanghai to Shenzhen and so on. The network of buses are also pretty strong as many people travel via this network to the neighboring towns and the villages. 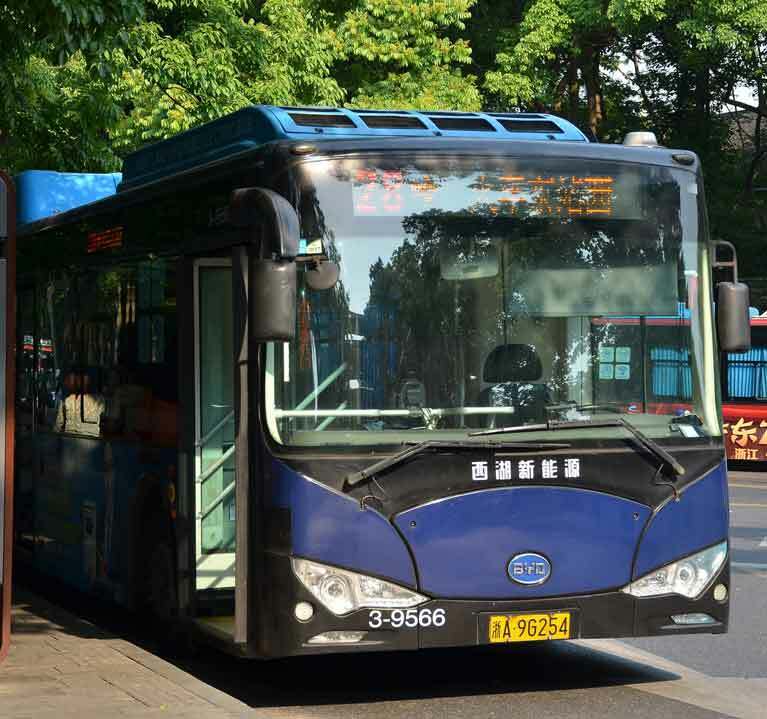 Tourists can also avail the bus network to get around the sites surrounding a big city like Beijing or Shanghai. Considering the huge stretches of water, riding a boat to one village to another is always a good option if you have time to kill. But cruises are mostly availed by the tourists and not by the local people as they rely on other modes of transportation for their regular commute. If you have a Chinese driving license then you can rent a car in China. 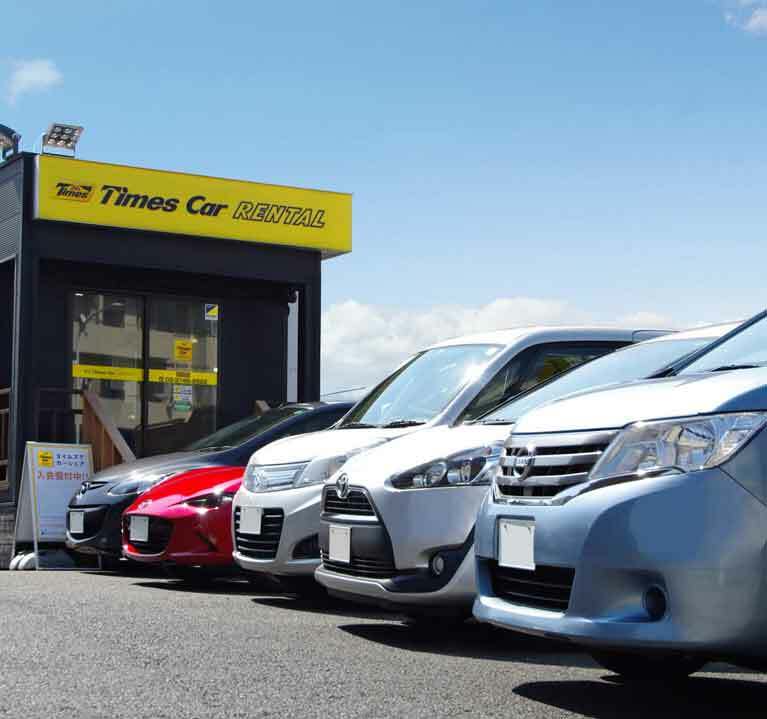 Cars are best suited for the city tours and if you know how to read and speak Chinese then you can also venture out of the city to the nearby places, with the car. Due to its wide range of landscapes and huge water-bodies China experiences extreme weather conditions. 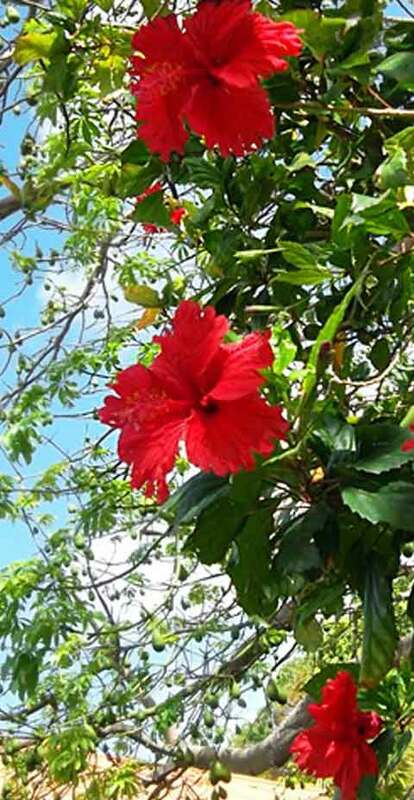 The summer is hot and humid with temperature reaching to almost 33 to 35 degree Celsius. Rainfalls are frequent during the monsoons. On the other hand the winters are pretty chilly and some parts of China experiences extreme snowfall. Major cities in the form of Beijing and Xian are completely covered in snow. The spring and the autumn seasons are the best for travelling because the weather is mostly pleasant during these times. The humidity is less and the temperature also stays within the range of 20 to 25 degree Celsius. However, rainfall might happen anytime during the year. No matter what time you visit China you should most definitely take a heavy-duty umbrella with you. Chinese rainfall is pretty unpredictable and it can cause you to stop you anytime during your trip. Carry shirts and t-shirts made of cotton because walking along the towns and the cities can cause you to sweat a lot. If you are traveling during autumn you should carry a fleece jacket or a hoodie because in the higher altitude you might experience some cold and chilly winds. Carry two different types of shoes for the high and the lower altitude places. You can also carry some flip-flops to wear within the city. You should pack at least 2-3 types of pants including a denim and a pair of shorts, in case the weather is too hot and humid in patches. 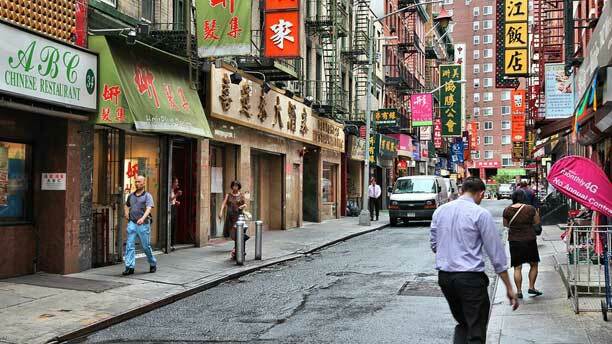 Whilst there is a dedicated China Town in almost all the major cities of the globe, having Chinese cuisine in the country itself is a different experience altogether. 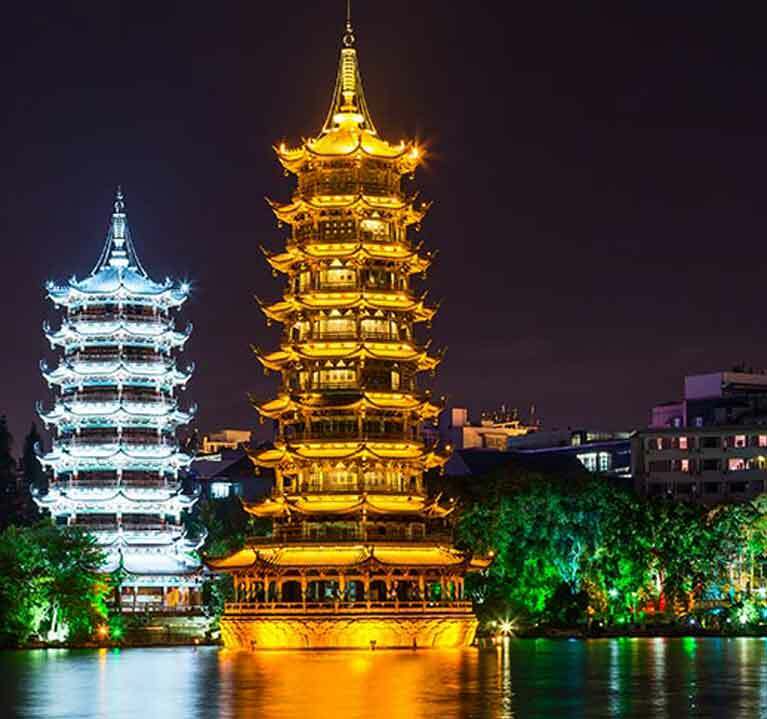 From the famous Peking ducks to the smell of the soya sauce you will get to explore a different version of Chinese cuisine, here in China. Apart from authentic Chinese food many places now also serve Italian, French, and even Indian cuisine. As the country itself is as large as a continent there are different cooking styles prevalent across China. Starting from the Sichuan Chinese to Hunan Chinese, from Cantonese Cuisine to Fujian Cuisine there are various variety of foods that you can encounter throughout the country. Like for instance the Shandong cuisine style is more based on seafood because of Shanghai's proximity to the sea whilst on the other hand the Fujian cuisine is mostly based on meats and herbs from the mountains. The Sichuan and Hunun cuisine styles are normally very hot and spicy whilst on the other hand the Cantonese cuisines are mostly sweet and light flavored. 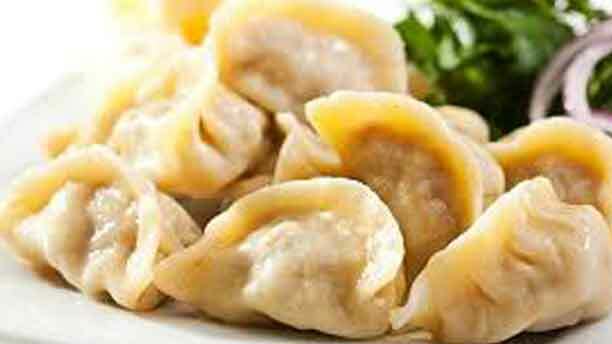 Wontons: A food from the Tang dynasty of China is now a popular finger-food in the country. Stuffed with meats and vegetables wontons are either steamed or fried. Dumplings: A food with a history of more than 1800 years is popular has a starter-menu during the Chinese New Year's festival. Stuffed with minced pork or vegetables this food is covered with a thick dough-skin. 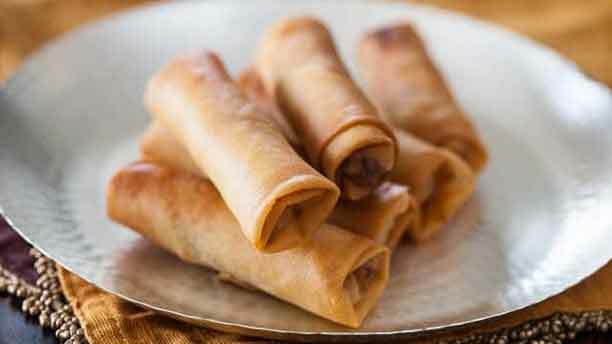 Spring Rolls: Spring Rolls are basically Cantonese dim sums which are cylindrical in shape and are fried making the crust crunchy. They are normally stuffed with meat and vegetables. 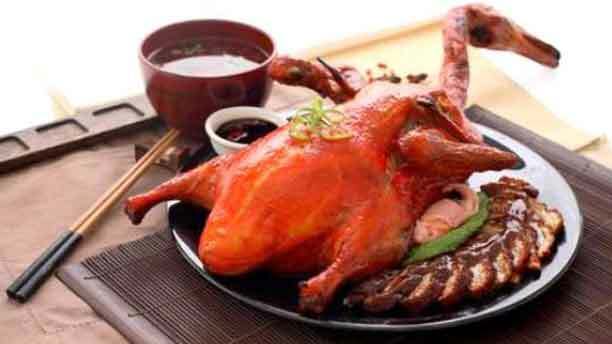 Peking Roasted Duck:It is China's national and it is one of most popular food items in the city of Beijing. Sliced roasted duck can be had with soy sauce or mashed garlic. 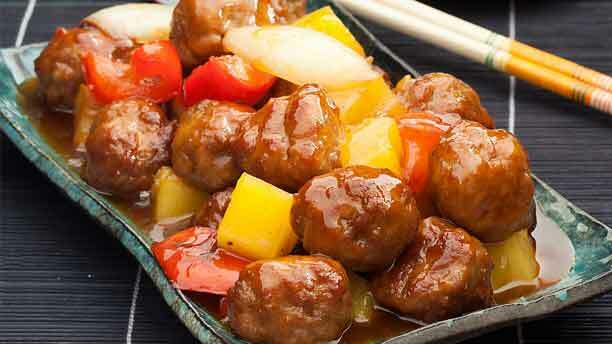 Sweet and Sour Pork: The brightly orange colored dish is also available in beef, chicken, and pork ribs options. The sweet and vinegary flavor of the dish is very popular now throughout the country. 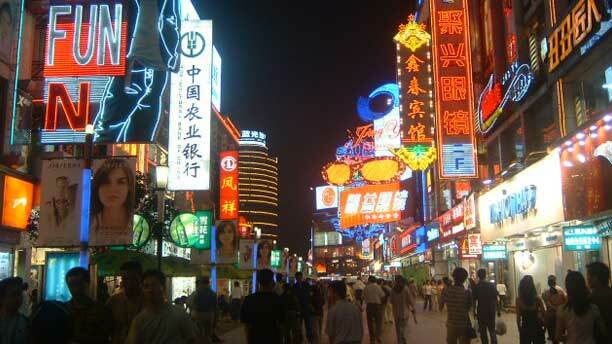 The densely populated country of China is also pitted with many stalls and shopping centers. From swanky supermarkets to street-side hawkers, Chinese markets will just spoil you with choices. As is the nature of the markets here in China that merchandises of same nature are normally sold in the same street or lane, thereby making it easier for the shoppers to bargain and make the best purchase decision. 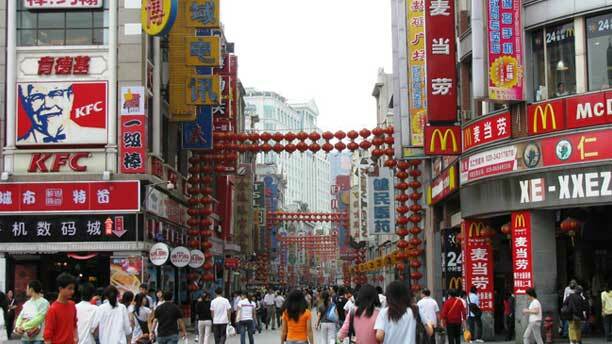 From foods to antiques, from clothes to memorabilia you will find just about anything in the markets of China. The currency used in China is called Renminbi which is also known by the name of Chinese Yuan. As per the current rates are concerned 1 Chinese Yuan equals to 10.72 INR. According to the laws stated by the Administrative Rules of the People's Republic of China on Cross-Border Transportation of National Currency as a foreigner you can carry a maximum of US$5,000 which comes to around Chinese Yuan of 20,000. If you are planning to come and leave China twice within 15 days then you can carry up to US$1,000 in cash. The government allows limited cash to enter into the market but you can spend through your debit and credit cards. Exchanging INR to Chinese Yuan is very easy as in every airport, international or domestic, you will find at least one Foreign Currency Exchange center. You should only bring enough Chinese Yuan to meet your immediate needs and requirements like snacks and daily commute for the first two days. Anything in between Chinese Yuan 200 and 500 is enough. There are plenty of ATMs available all across China and you can withdraw cash by using your VISA or MasterCard. China is a cash based economy and that is why you need cash in most of the situations. Even some of the bigger restaurants of the country accept only cash. Pay your hotel bills with credit cards or debit cards because everywhere else you will be needed to pay by cash. Since China as a country is guided by a strict Communist Regime the visa application process is very daunting. You have to adhere to a strict list of norms and processes in order to get your tourist visa. Do not get surprised if they ask you an array of questions because that is what the Chinese visa officers normally do. Try and keep everything brief and to-the-point so that your statement appears to be clear and precise to the Visa officer. You also need to give proof of your hotel accommodation and flight tickets (including return tickets) during the visa application process. Do not take the risk of filling-up the visa application form by hand. If the Visa authorization officer fails to read your handwriting then he/she might just cancel your application. Fill out the application form by typing the same in your computer. To be on the safe-side put everything in capital letters so that the chances of mistakes are minimum. Moreover, the visa application is valid for only 3 months so do not make the mistake of applying too early as your application might be rejected in that case. The entire visa approval process takes around 4 to 7 days. Crime in China is not as high when compared to the Western countries. Crime against foreigners, in China, is extremely rare. However, being said that pick-pocketing and other petty crime can just happen to anyone. Pick-pocketing is a more common form of crime because the chances of getting caught for the thieves is very less. The punishment level of crime in China is very harsh and that is why criminals are very cautious about committing any nuisance. But do not leave any sort of valuables like camera, Ipod, or any other devices at the back-pockets of your bags. China is also infamous for traffic accidents. Make sure that you cross the streets carefully. However, as an Indian you might hardly find any difference. With rich diversity of animals and plants and colorful festivals China will cast a magical spell on you. 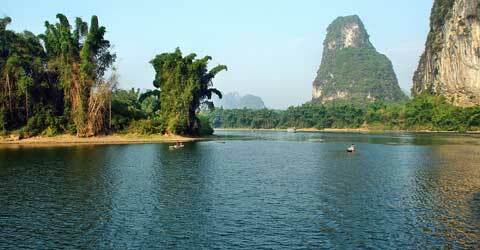 Due to its vastness in size China is the home to a large variety of plants and animals. The latest findings suggest that there are around 7000 different species of woody plants in China including the likes of silver fir, golden larch, China cypress, Fujian cypress, Taiwan flousiana and many others. These species of plants are unique to the soil of China and they are not found anywhere else in the world. China is also blessed with a dense forestation of metasequoia plants as these redwood variety covers a large portion of the Sichaun borders. 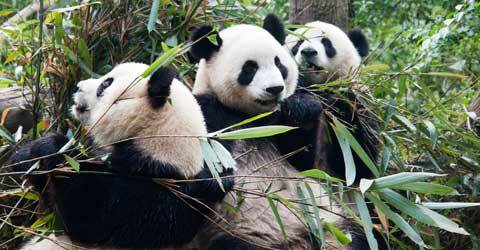 As far as the animals are concerned China is of course famous for its huge population of Giant Pandas. An animal which was once considered to be endangered is now thriving all throughout the country and even the world thanks to the massive conservation and breeding project undertaken by the Chinese government. Apart from Giant Pandas, China also houses various other animals in the form of takin, golden monkey, Chinese river dolphin and alligator. Celebrations in China is all about lights and music. Colors fill the night sky whenever any festivals happens in China. The Chinese New Year Celebration is definitely one of the most popular festivals in the country is also known as the Spring Festival. Starting from dragon dances to firecrackers people celebrate the occasion in many ways. Then there is the famous Dragon Boat Festival which happens during the 5th month of the Chinese lunar calendar. It is basically a Dragon Boat race that takes place and people enjoy the show whilst having rice dumplings. China's Lantern Festival is also another colorful festival that marks the event calendar of the Chinese people. Celebrated for around 2000 years this festival witnesses a night-sky pitted with Chinese lanterns and drones. Qingming Festival is not typically a festival as such but an ancient custom where Chinese people visit the graves of their loved ones to pay respect. There are a lot of cultural diversity as far as China is concerned. Due to its vast geographical landscape the Chinese differ in their rituals and practices, customs and food habits. However, there are few things which unifies the Chinese people and their view towards the world. Like for instance the Chinese people believe in the amalgamation of the old and the new, the east and west. The Chinese people are very open to new ideas and habits as they accept the west with open hearts. However, that does not imply that they totally reject their roots and rituals and forget their past. Han Chinese accounts for the majority of the Chinese population and whilst there are several Chinese dialects spoken across the country the core language remains the same. The Chinese are very proud of their history and they have made peace with their religious beliefs and the practice of communism. Chinese people are normally friendly and hospitable to their tourists and they are very soft-spoken by nature.